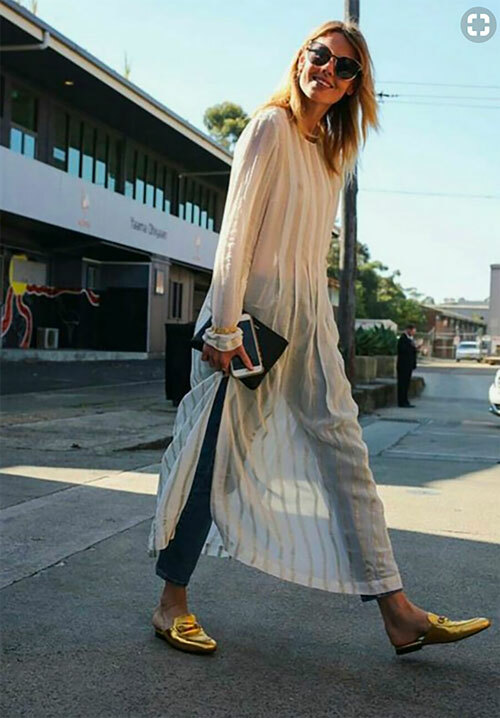 I'm on the fence about the dress-over-jeans trend, but I am committed to procuring a fall dress that can be worn over jeans in case I go for it! Cleverly, some designers are making this type of convertible piece for the undecided like me--i.e., a dress-meets-shirt that can go both ways. Take these versatile dresses by Sandy Liang, H&M (pictured immediately below--I have and love! ), Petersyn, Rixo London and Ganni. Oh, and the perfect cropped jeans to go with are by AGOLDE.